Summer is almost here and no one wants to spend the day cooking in a hot kitchen. Here are a few recipes to make life a bit easier that are delicious. Serve these all with a healthy salad and some fruit. Heat oven to 400°F. Spray 9-inch glass pie plate with cooking spray. 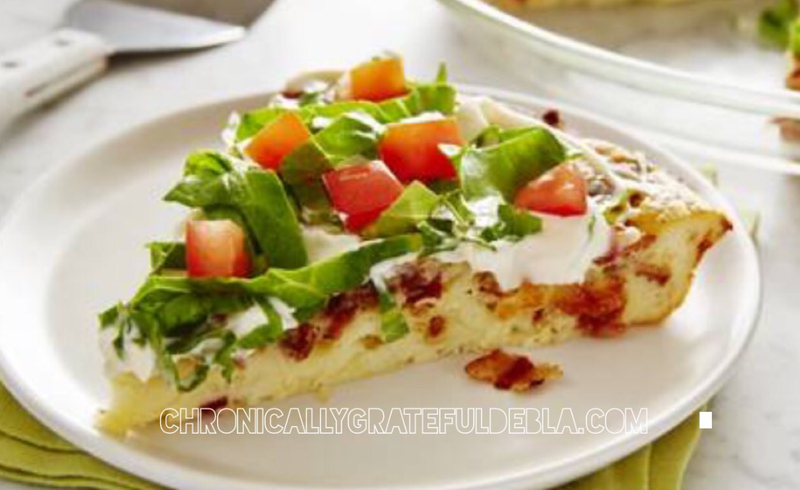 Layer bacon and cheese in pie plate. In medium bowl, stir Bisquick mix, 1/3 cup mayonnaise, the milk, pepper and eggs with wire whisk until blended. Pour into pie plate. Bake 25 to 30 minutes or until top is golden brown and knife inserted in center comes out clean. Let stand 5 minutes before serving. Spread 2 tablespoons mayonnaise over top of pie. Sprinkle with lettuce. Place tomato slices on lettuce. 2. In a large skillet on medium heat, drizzle olive oil and saute onion and garlic for about 4 minutes until tender and fragrant. Add in bell peppers, zucchini, broccoli and sun dried tomatoes, cooking an additional 2 minutes. Set aside. 3. In a large bowl, whisk together eggs, milk, Parmesan cheese, oregano, red pepper flakes, salt and pepper. Continue whisking until nice and foamy. 4. Poor egg mixture over top of the veggies in the skillet until evenly coated and cook on medium heat until bottom is set, about 5 to 6 minutes. 5. Transfer skillet to oven and turn heat immediately down to 350 and continue to cook until edges are slightly brown, about 10 to 12 minutes. You’ll know it’s done when a knife inserted comes out clean, enjoy! 2. In large oven-proof nonstick skillet, heat 3 tablespoons oil over medium heat. Add onion, broccoli, and 1/2 teaspoon salt. Cook, stirring, until vegetables are just beginning to soften (but not cooked completely), about 6 minutes. Stir in 1/2 teaspoon black pepper, remaining tablespoon oil, and tomatoes. Remove from heat and layer chicken into pan. Whisk 1/2 teaspoon salt and basil into eggs and pour into pan without stirring. Place dollops of ricotta into pan. Bake until eggs are just set, about 20 minutes. Let rest briefly before cutting and serving. 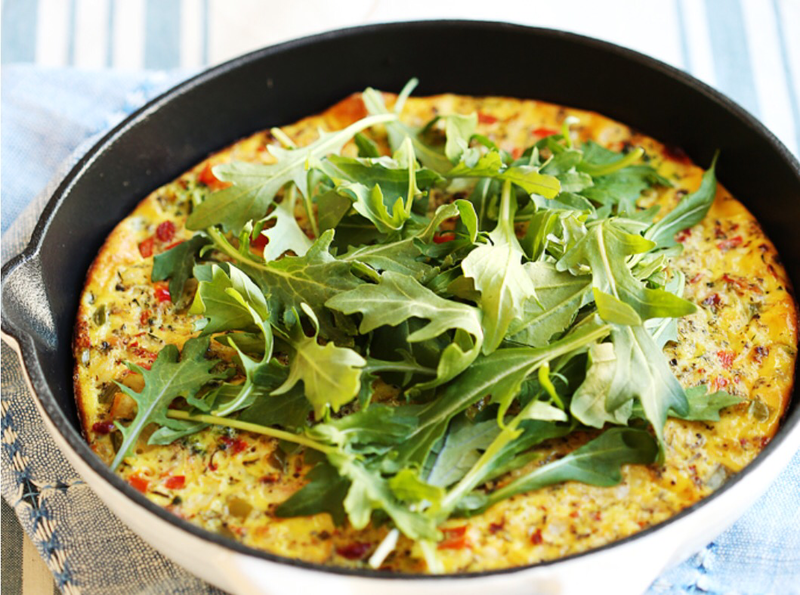 If your looking for a fast meal nothing beats a frittata. A frittata is basically a giant oven-baked omelette filled with lots of stuff (or a crustless quiche). Usually it starts on the stove and ends in the oven, where it develops a nice, golden finish. A frittata always looks beautiful no matter what you put into it. Broccoli, chicken, a handful of grape tomatoes, some basil, half of a giant onion, and some ricotta. Starting with pre-cooked chicken is a big time saver in a dish like this. If you’ve only got the raw stuff, then gently simmer it till cooked and then shred into bite sized pieces. 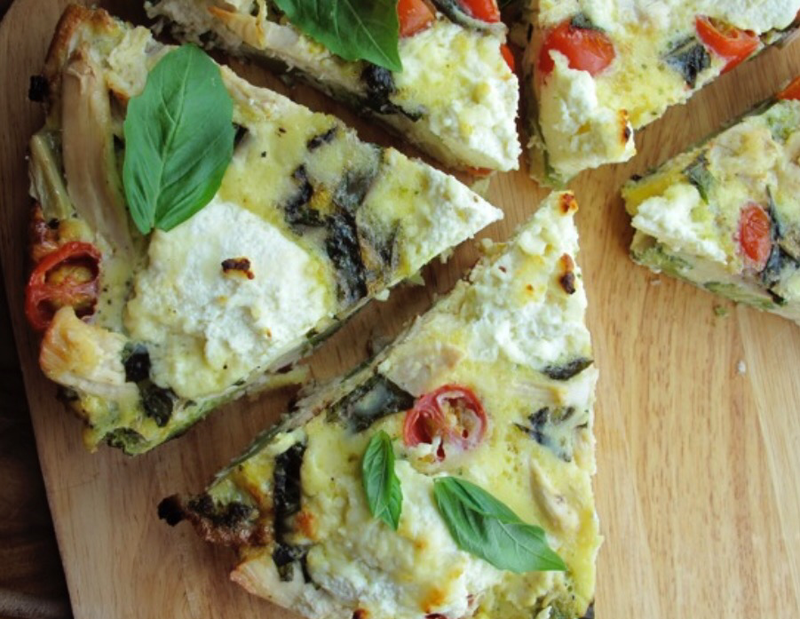 The flavors in this frittata are light and fresh, with basil taking the lead. It’s a pretty effortless process I sautéed the veggies for a few minutes until almost cooked, and then added the chicken, basil and egg. 20 minutes in a moderate 350-375 degree Fahrenheit oven and the frittata was finished. Serve with fruit or salad or both.